The year was 1860 and the Village of Franklin Grove, Illinois was growing and prospering. Thirty years previous, the first settlers had arrived. Within a few years, the village of Chaplin was founded. The main crossroads for Chaplin was the present corner of State and Lahman Streets (which, incidentally, is part of the Lincoln Highway). Chaplin had become quite a comfortable little settlement by the time the railroad appeared in the 1850s. With the advent of the rail line, new businesses were established closer to the station. 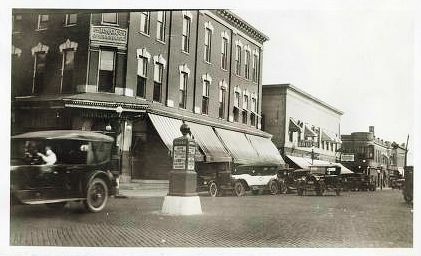 It wasn’t long before the existing establishments in Chaplin realized the advantages of conducting business at the new location and migrated to the present site of Franklin Grove. The little hamlet of Chaplin slowly faded into memory (excepting a hotel) and eventually became residential property. 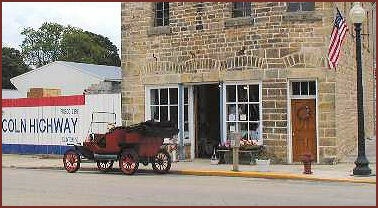 Henry Issac Lincoln had come to Chaplin and established a dry goods store in 1853. In 1860 he build this structure. It was originally a dry goods store, but later became a post office and then the home of the Franklin Reporter. The newspaper ceased publication in the 1950s. With the exception of a dance studio and an arcade which operated for a few years in the early 1970s, the building sat empty. In 1995 a group of ten men (Farming Heritage, Inc.), residing in and around Franklin Grove, were able to obtain the building with the intent of restoring it to it’s former glory. As you view the building today, you will notice numerous photographic displays depicting the condition of the building when restoration commenced, as well as other photos showing the restoration process. The H.I. Lincoln Building is a restoration, which simply means that everything salvageable from the past is still in place. If you closely observe the wooden pillars, the third step on the stairs, and the interior door leading to Lincoln Hall, you will notice various piecework and patching. The stencil on the first floor walls is copy of the original, as is the boards and batten ceiling. The restorers were frequently guided by old photos and old lines on the walls. Lincoln Hall, as the top floor of the building was named, came to be the focal point for social events in the community. Weekly dances were held there, the Methodist Church held services in the hall, and basketball games were played there. Plans are to resume some of these events once the restoration of the hall is completed. The rebirth of the Lincoln Building is a result of volunteer labor, with the exception of the late restorationist, Ron Nelson, who was hired by FHI for his expertise. His advice proved to be invaluable, but he also developed a great love for this project and formed a strong bond of friendship with those who labored side by side with him on this restoration. He is sorely missed. The H.I. 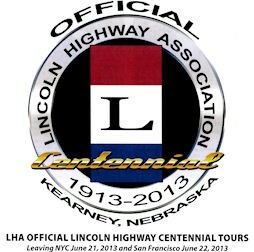 Lincoln Building opened it’s doors as the National Headquarters for the Lincoln Highway Association in March of 1999. The highway route was proclaimed in 1913 and became the first coast to coast highway in the U.S. (from Times Square in New York, to San Francisco, California). If you step out the front door of the Lincoln Building and onto the street, you will find yourself standing on the Lincoln Highway. Or, in the event you have zero function experience, in a position to you got them and, if you’re list your skills.